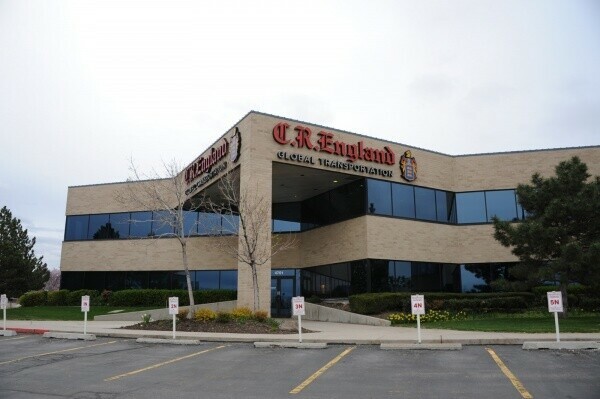 This is the headquarters and a logistics yard for C. R. England Transportation, a major trucking company that has the largest fleet of refrigerated trucks in the country. Reefer trucks like these hold the national cold chain together, linking packing house, plant, warehouse, distribution center, and retailer. Central Refrigerated Services is also among the largest reefer truck companies, and is headquartered just a few blocks west from here. This stretch of 2100 South, in western Salt Lake City, is a major trucking and warehousing area for Utah, and beyond.